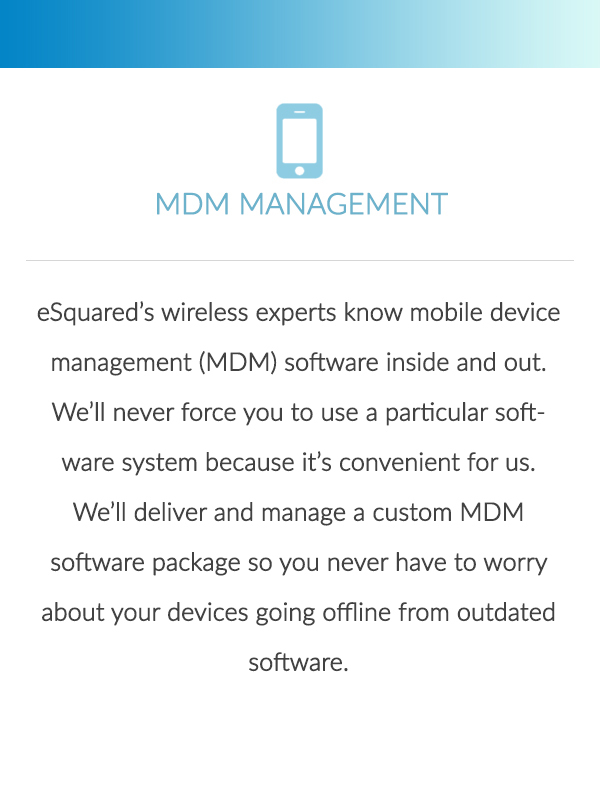 eSquared keeps your fleet at your fingertips with mobility telematics solutions. Whether you use Wi-Fi or connected-style devices, we can develop a robust process that optimizes the efficiency of your fleet and provide the devices to support your employees while they’re out on the road. 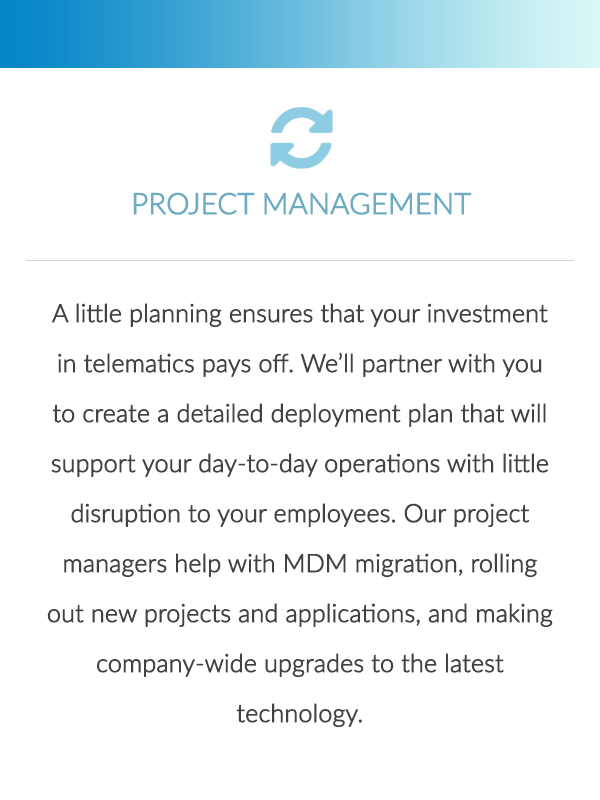 Monitoring and reporting analysis will help you measure and increase your return on investment. 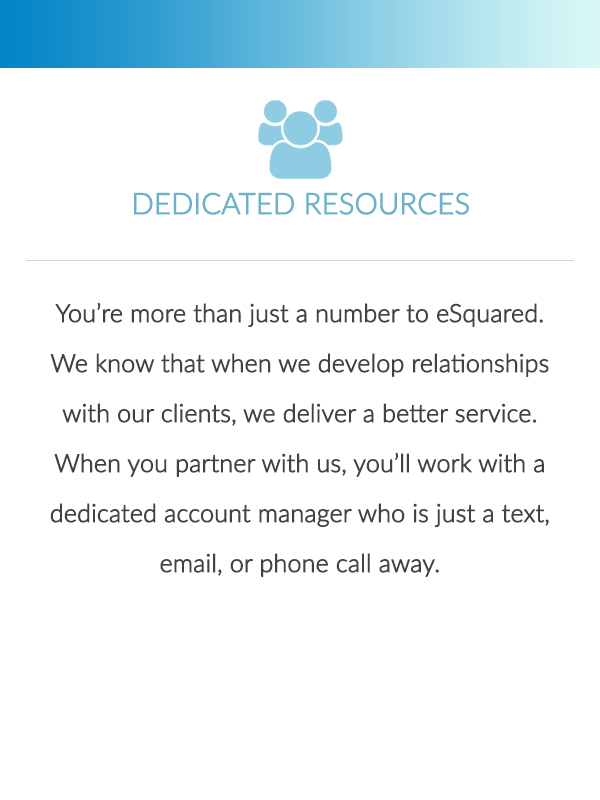 eSquared offers comprehensive “get alive” services. 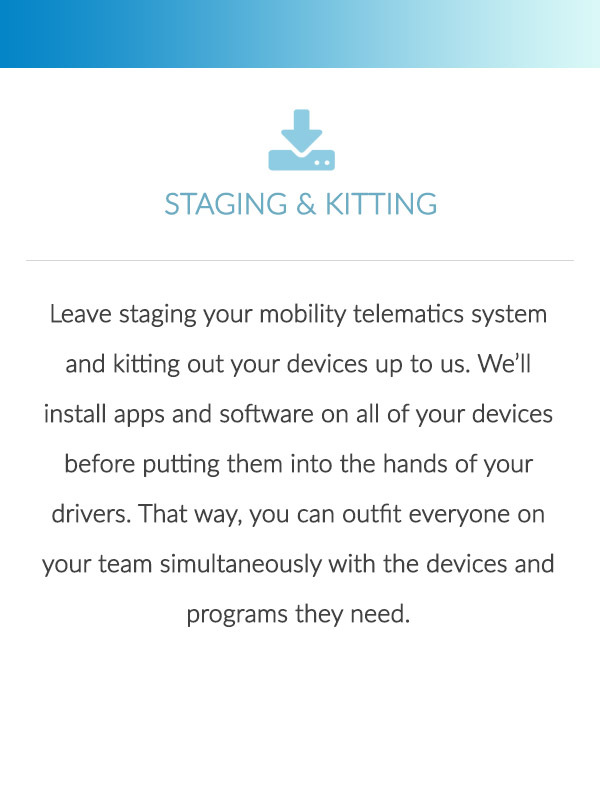 Deploying hundreds or thousands of devices at once requires special expertise and attention. 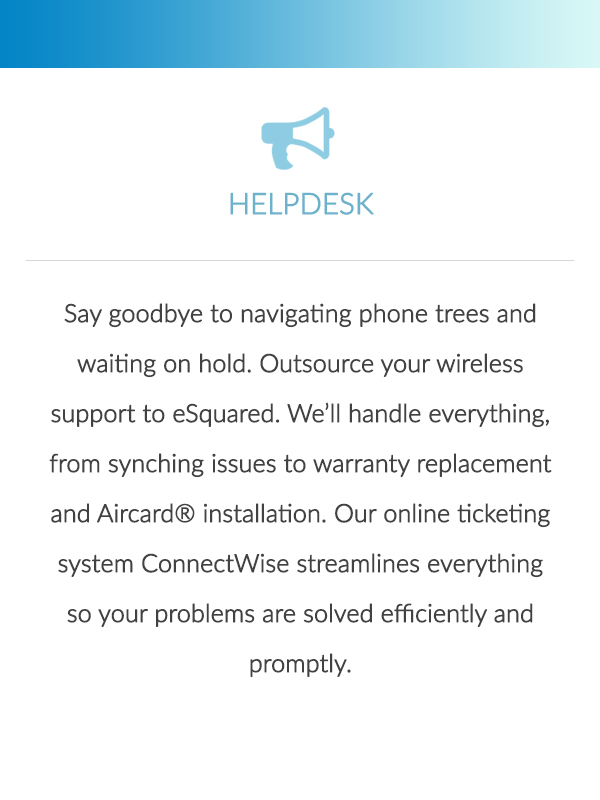 eSquared keeps you up and running with our “stay alive” services. 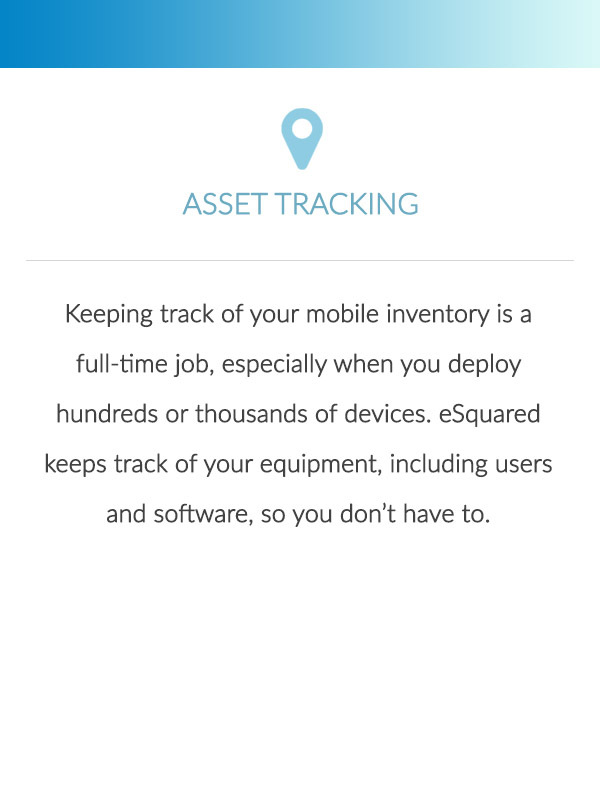 We eliminate downtime and optimize mobile device deployment. 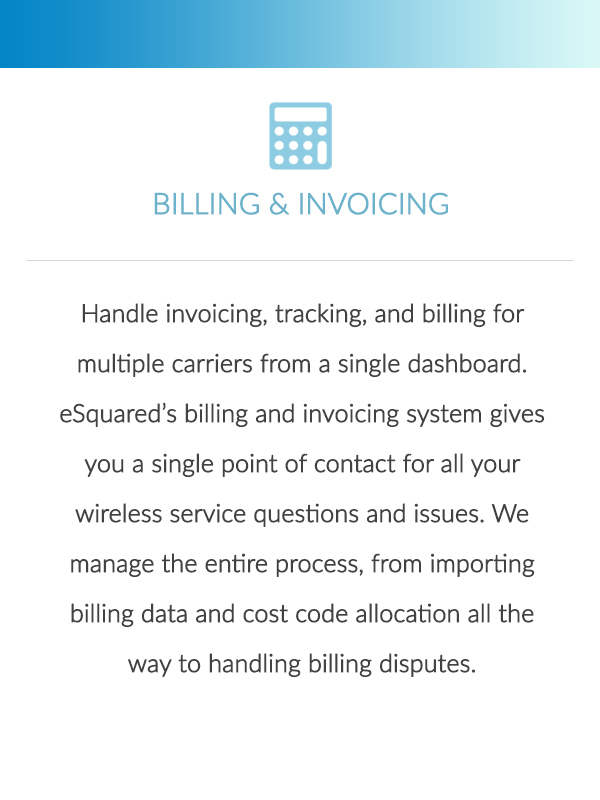 "It has been a pleasure working with eSquared. They worked diligently to explain everything. Their ability to adapt to our unique needs made this a smooth operation. The installs are on track, the packaging was done correctly and with no errors. 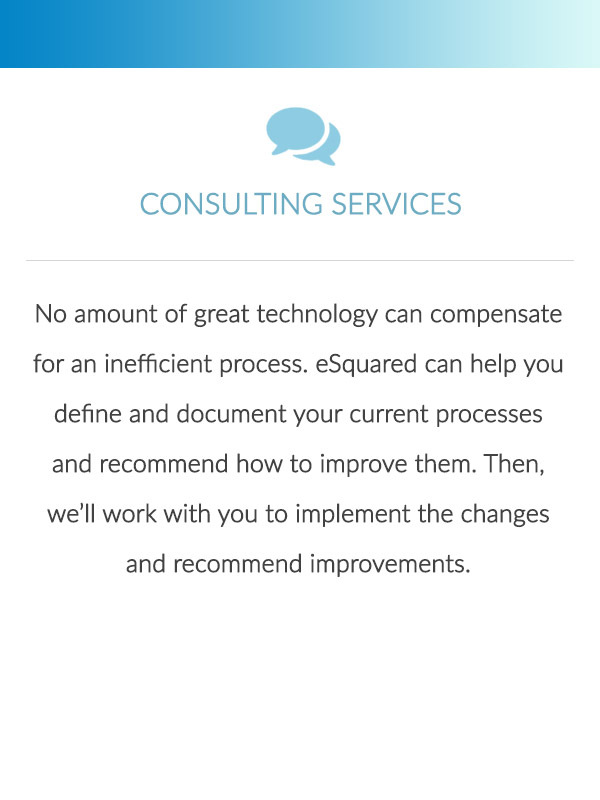 The ongoing support from eSquared has been exceptional."